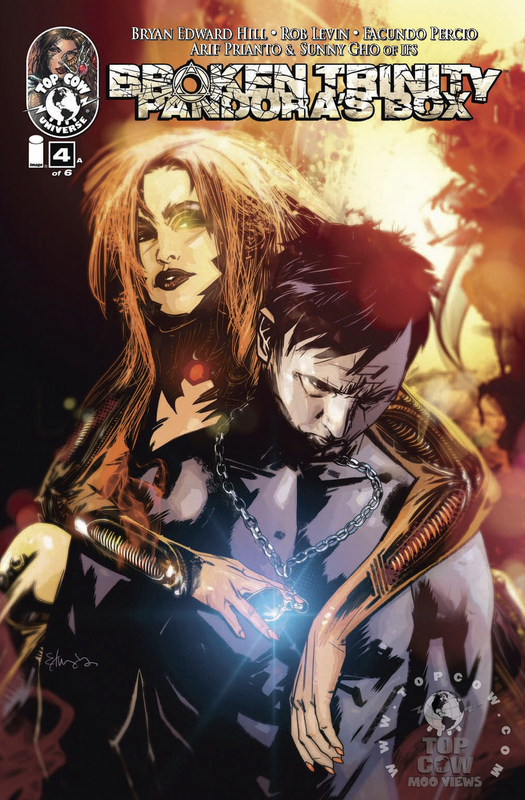 Broken Trinity: Pandora’s Box #4 is an interesting series. I feel like this is something that should of wrapped up a bit before the recent start of Top Cow‘s event Artifacts. This series leads into that, and there’s some cool things here when it comes to characters and always the action is entertaining. While Artifacts leans a bit towards the emotional, this leans a bit towards the action. The most interesting part of this story wasn’t so much the action, but the discussion. We have a man who’s been given enormous power doubting his destiny and contemplating giving it away to someone he thinks can do better. That dynamic and discussion is interesting. I’d love to see a series who’s entire plot is around this. The point of this series is simple and laid out at Baltimore Comic Con. It can be enjoyed on it’s own, but along with Artifacts it creates a richer and deeper experience.